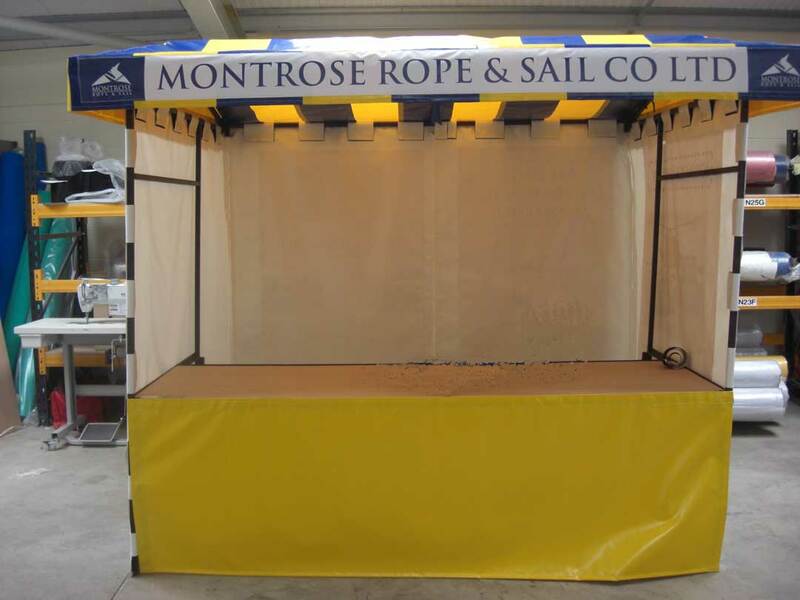 At Montrose Rope & Sail Co. we have manufactured made to measure market stall covers for all over the UK. Our covers can be produced in traditional materials or plain/striped PVC and can be made to suit any size of Apex or flat framework. We offer side, back and front sheets (skirts) using a variety of colours. Stand out from the crowd with digitally printed logos to personalise your canopy. All covers will include reinforced hems to maximise the covers longevity. 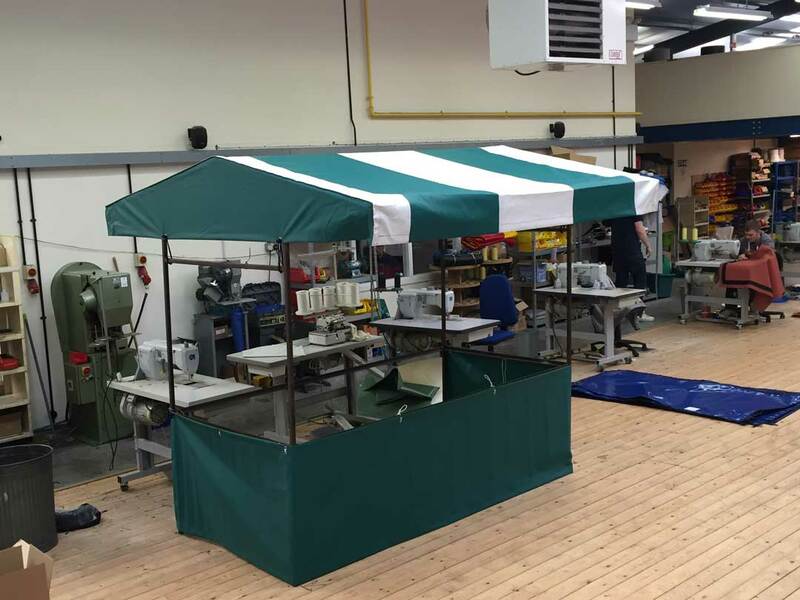 No order is too small, we can accommodate short run orders for replacement canopies, and also have the capacity to manufacture bulk orders for tenders or market refurbishments. Do you need a Market Stall Cover?